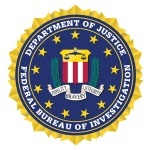 Justin M. Vallese is a Special Agent with FBI Los Angeles Field Office who is part of a computer intrusion squad comprised of Special Agents, Intelligence Analysts and Computer Scientists. This squad is responsible for conducting National Security and Criminal computer intrusion investigations which have global impact. As Cyber Program Coordinator for FBI Los Angeles, SSA Vallese was responsible for outreach and liaison with private sector partners, as well as interfacing with the FBI’s Cyber Division and various US Intelligence Community partners. Prior to his work in the cyber arena, SSA Vallese was assigned to work Financial Crimes, Internet Fraud, and Intellectual Property Rights investigations at the FBI Los Angeles.